Mobility is nothing new to the practice of law. Attorneys have travelled to courts, client meetings, depositions, and countless other places since long before the digital age. As workflows became more electronic, lawyers adapted by doing things like checking emails on a phone and editing documents on laptops. Those early steps are wearing thin and expectations to work outside of the office are growing. Lawyers today demand a richer, more satisfying experience than what they have grown accustomed to so far. If your IT department is busy clamping down on private Dropbox usage and other “shadow IT” applications, you can bet it is because attorneys on the go are more comfortable using consumer apps than firm-approved options. More documents and data. The materials lawyers need to bring along rarely fit into a briefcase any more. Not only would there be too much paper, many items never even make it to paper these days; videos and databases are two good examples. If your firm does not offer simple, searchable mobile access to information, your attorneys could end up walking into critical situations woefully unprepared. And, the key here is simple. A huge gulf separates that which is theoretically possible from what a partner will actually do in the real world. Changing client expectations. Gone are the days when clients would overlook an extra associate or two tagging along to shuffle through boxes searching for papers. Indeed, the very idea of carting box after box of expensively prepared binders into meetings can make some clients see red. These clients are comfortable working on the road in a paperless environment; seeing their highly paid counsel unable to do the same is frustrating at best. More specialized knowledge. If your firm is building a knowledge management database, it must be mobile-accessible. No one can be an expert on everything, but many firms have expertise that spans countless subjects. Knowledge management and collaboration tools can deliver vital information directly to attorneys in the field. Pulling up relevant insights from the firm’s knowledge base and getting real-time research updates during client meetings both impress and demonstrate your firm’s expertise. When I started practicing, I heard attorneys talk about endless hours at the office. It was a badge of honor I would also earn. Given that all of our tools were at the office, it was the best place to get work done. But the story has changed. Workloads today are higher than ever, but most attorneys find they can be just as productive elsewhere, even preferring other locations to the office and its many distractions. Face-time is giving way to better indicators of productivity, like responsiveness, output, and hours billed. So, much of the work is being done at the “home office.” Whether just an hour or so in the morning or several hours at night, lawyers are squeezing significant billable time out of their homes. This is not telecommuting. It is just working. 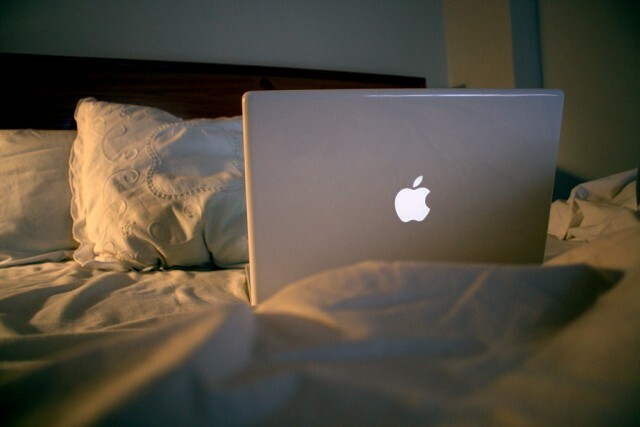 The more time attorneys spend working at home, the better that mobile environment needs to be. If it takes lawyers more than a minute or two to log into a remote desktop, that is a bad sign. Many attorneys will decide to work directly out of email, generating a trail of chatter messages and attachments along the way. Working across time zones also demands that lawyers be proficient working from home. Everyone understands that they may be inconvenienced at times for the sake of scheduling, but few are eager to go into the office for a 5:00 a.m. conference call. The call will be a bust, however, if an attorney cannot access key documents from home. Find apps with flat learning curves that empower users. When thinking about mobility tools, ease-of-use is paramount. If attorneys run into problems outside of the office, they probably will have neither the time nor patience to call deskside support. The app simply must work and be effective or it will be tossed aside. Consider device and screen size. An effective mobile strategy is adaptable to any device. Pulling up a remote desktop on a tablet, for example, can be a bad experience. Applications should be built to accommodate or respond to the size and inputs of the device. Equally important is a solid multi-monitor experience, since many attorneys like to plug their laptops into an external monitor at home. Test out each of these scenarios, and try using the same applications that attorneys use to see where the problems are. Use “shadow IT” to identify areas of improvement. Attorneys often use cloud storage, private email, and personal to-do trackers for client work. You may see it as a problem, but it is also a cry for help. Actions speak louder than words. So, never ignore what your users are doing. What they do is the best feedback you have on what they need. Some artists say they make art for themselves and not for their audiences. Such artists’ accountants are likely frustrated (not to mention owed money). To ignore one’s audience is generally rude, short-sighted and bad business. 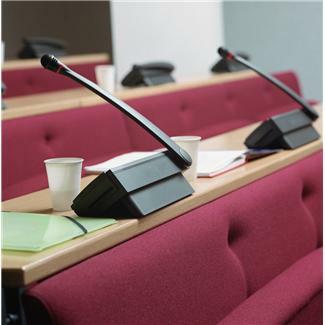 At most law firms, the primary audience is in-house counsel: busy, intelligent, multi-tasking attorneys fielding questions from and advising many business units within the organization. A law firm’s KM department’s usual audience is the law firm attorneys, striving to provide excellent client service. But how broad could KM’s audience be? Could it go beyond law firm attorneys? KM’s traditional role is to develop and build systems, processes, and culture to encourage capturing and sharing information within a firm. As Michael Koenig, Professor and former and founding dean of the College of Information and Computer Science at Long Island University, describes, KM is very organizational, very corporate. Legal KM has its roots in helping attorneys practice more efficiently and effectively, by drawing on colleagues’ prior work product and through sharing information, expertise, and documents within the firm. Historically, much of this sharing happened without colleagues realizing it—KM was at work behind the scenes finding and organizing resources created by individual attorneys and providing searchable, efficient access to that product to all attorneys. For example, when it comes to the production—and reproduction—of certain standard documents, KM can lead attorneys to a more efficient and compliant process throughout the firm. Employment attorneys often are asked to create documents— including employment related letters, forms and agreements—many times over, with little customization for case or client details. Combining strategic development of template or master resources with document automation, KM can shift attorneys from the ancient practice of search/save as/edit to web-based questionnaires that generate a customized “best practice” final document, at a fraction of the time and cost it would take to start from scratch and without the propensity for errors inherent in editing an older document. Firm attorneys often create and re-create more complex memoranda or briefing that may be too nuanced for automation. A KM department can increase its law firm’s efficiency by going beyond just providing a static set of documents for practitioners to consult the next time they need to draft a key document. At our firm, we provide organized, catalogued access to the best—and most current—of these resources. Our internal Litigation Center and Equal Employment Opportunity Center use pre-set, constantly-updating document management searches to pool timely and easily accessible resources for practitioners working on single-plaintiff, benefits, wage and hour, and employment discrimination litigation. These sites are accessible to litigators, paralegals, and litigation secretaries to enable them to quickly find consistently up-to-date sample documents and resources. Based on the success of technological improvements like these and others within a law firm, KM departments have flourished and attorneys have grown more confident in KM’s ability to help locate resources. As a result, the client-facing role of KM naturally evolved. For example, an attorney would ask for a resource from KM, receive something on point at a fraction of the cost and time had the attorney created it himself or herself, and then turn around and provide it to the client at that reduced price. Eventually, at least at our firm, the firm attorney asks its trusted KM department, can you just give this directly to my client? Efficiency begets efficiency, and attorneys should not mind cutting out their role as middle-person, especially when it means the client is happy with the service and information provided and the attorney can continue to focus on counseling and litigating. The success of a KM department in its role external to the law firm may be measured by how well it is answering the question: WDIHCW? What do in-house counsel want? They want, and need, answers. Real, practical answers, delivered quickly. They want not to have to pick up the phone each time they have a business question. They would like to look some questions up themselves, in tools provided by their trusted law firm, preferably in an easy-to-use, online, searchable format. And they want information before they ask the questions. They want to know about changes that will affect their business. They want realistic predictions and practical guidance. They want to anticipate change to prepare their organizations for it. Who should create such innovative tools? Most law firm attorneys, focused on practicing law and billing their time, are not ideally suited to tool development and implementation, but it is a perfect fit for an evolved KM department. 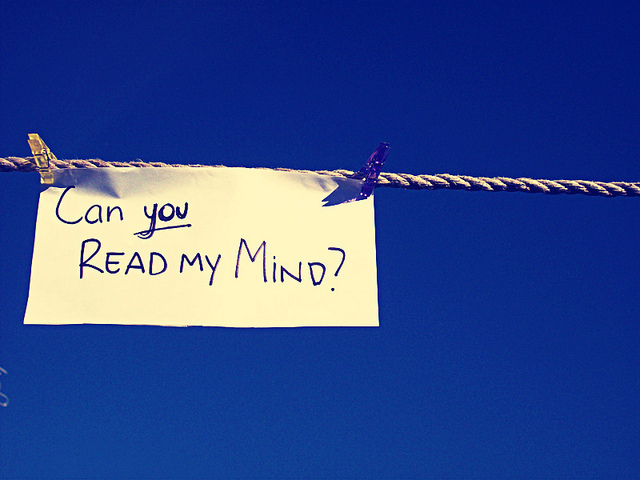 The next post, “KM Asks: WDIHCW (What Do In-House Counsel Want)? Part II” will address more specifically how KM can approach this evolving challenge. To paraphrase William Gibson, the future of the legal profession has arrived, it’s just not evenly distributed. And that was demonstrated for anyone present at Georgetown Law School the second week of April for the second annual Iron Tech Lawyer Competition, where the future of law was on display, but, alas, only in one classroom. 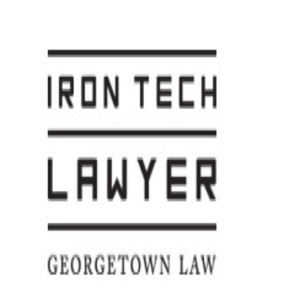 If you are not familiar with it, the Iron Tech Lawyer Competition is the culmination (or “final exam”) of the Technology, Innovation and Law Practice Practicum taught by Georgetown Law Professors Tanina Rostain and Roger Skalbeck. At the beginning of the semester, students are divided into two- or three-person teams, assigned to work with a legal services organization and given access to Neota Logic’s expert advisor software. Their assignment is to develop an “app” that will enable the legal services organizations to more efficiently provide legal services to their clients. At the actual Iron Tech Competition, the teams present their apps, explaining the problem or need they set out to address, the legal issues the clients face – and the resource limitations the organizations deal with – and how their app provides enhanced access to legal services. At the end of the competition, awards are handed out for Excellence in Presentation, Excellence in Design and the Best Iron Tech Lawyer. (Georgetown Law has published an informative video about the first competition). I was honored to serve as one of four judges for the second competition (with Georgetown Law Professors Peter Edelman and Robin West, and Doug Leeds, the CEO of Ask.com). Watching team after team demonstrate innovative technology solutions that could efficiently solve legal problems showed me the promise and future of our profession. Readers of Richard Susskind’s many books should know about his concept of Legal Engineers – not IT people who have worked with lawyers or lawyers intrigued by technology, but individuals who truly understand, and have been trained in, both law and technology. Well, I got to spend the afternoon with 23 budding Legal Engineers. Judging the competition was much harder than I expected; I wish I could have given each team an award. Some of the teams developed apps that could facilitate determining eligibility for legal services. One team developed an app that could enable low income individuals to determine their eligibility for the Supplemental Nutrition Assistance Program (formerly known as “food stamps”) – the judges overruled the competition guidelines by awarding this team an Honorable Mention prize. Another team developed an app that would enable individuals with old criminal records to determine whether they could expunge their records. Other teams developed apps that could provide outreach and information to communities that otherwise might not know there were legal services available to them. One team developed a terrific app they called “Stop Bullying Me; I’m LGBT, But Just Let Me Be Me.” This app enabled students who have experienced gender-based bullying or harassment to determine whether their schools had responded to their situations under Title IX requirements. The winner of the Iron Tech Lawyer Competition was a team (Jon Czas, Kyle George and Jung Hwa Song) that developed an app called “Could Bankruptcy Be My Lifeline?” This app – developed with the DC Bar Pro Bono Program – was designed for the up to one million Americans who could not afford to file bankruptcy during the Great Recession because they could not afford the filing and lawyers’ fees. Their app – developed in both English and Spanish – enabled individuals to understand the bankruptcy process, evaluate their financial situation and determine whether they should file for bankruptcy. Their software design was eloquent, intuitive and yet complex (the students had no prior experience with bankruptcy law). And, in my mind, they deserved bonus points for using Prezi for their presentation instead of PowerPoint. I cannot thank Professors Rostain and Skalbeck – and the Georgetown Law School – enough for creating this class and using this format. It brought to mind the trial practice class of my legal education when, after one theoretical class after another, I finally got a chance to put theory into practice and put everything I could – including many all-nighters – into the class. As much as we once needed more trial lawyers, now we need Legal Engineers, lawyers who can make the provision of legal services more accessible and more efficient. Kudos to John Lord and Michael Mills of Neota Logic for providing a grant – and their fabulous software – to make this competition possible. And, enormous kudos to Kevin Mulcahy of Neota Logic who taught the students how to use the software and worked tirelessly – and probably sleeplessly – with the individual teams to help them perfect their apps. The students were tremendously grateful for his knowledge, patience and enthusiasm. He is a terrific teacher and mentor. Maybe, soon, other law schools will emulate the terrific program Georgetown has developed and the promise of innovation in the practice of law will be more evenly distributed. posted a Q3 earnings report and declared a dividend. As I’m participating in an employee share ownership program, I say this with certain smugness, of course. My real point, though, is that this was national news and key information for the Canadian economy, and it highlights the biggest difference, thus far, in moving from a law firm KM position to an in-house one: things are different, really different, at a public-facing company. And I’m not at just any old giant public corporation – I now work at one of Canada’s so-called “big 5” banks. For my non-Canadian friends, this refers only partly to the fact that it’s one of the biggest five banks by size or earnings. It’s also because historically, Canada literally only had five big banks (there are actually many banks, including foreign ones, operating here very successfully). BMO is so incredibly visible through the branch banking system all across Canada that it’s a part of the Canadian fabric (the same holds true for the other big four). It might even be fair to say that Canadians see the banks as quasi-Canadian property, and we are as offended by profligate bank spending as we are with government wastage. It’s a matter of national pride that Canada’s banking system is considered the soundest in the world. Suffice it to say, then, that, unlike even large national law firms, banks have a fairly heightened sensitivity to public perceptions. Before joining the industry, I knew this as a Canadian. Now, this flows back to me on a professional level. Decisions involve not just cost and internal politics (nothing different from law firms there), but a consideration of what the shareholders and the public would think. What does this mean for me? First, it was a huge professional adjustment. I worked mostly in law firms, with the exception of acting as a General Counsel to a group of small private companies. Joining the bank feels much more like joining a business than it does a law firm, even though the legal group I support functions as a captive law firm. We are all in this to support the bank’s business, as opposed to providing legal advice to a client. I really like this – I can see where KM efforts are helping the customer experience. Second, the bank is a very large structure – 37,000+ employees globally. It will be months yet before I can accurately and reliably identify who does what, and which department is responsible for what. I often wonder if I’m asking the right person the right questions. This is a function of sheer size, and not of the more pejorative aspects of a quasi-bureaucracy. The bank is, in fact, very good at eradicating duplication and preserving ownership of functions and tasks. Third, if you think law firms aren’t so crazy about technology change, try working in a bank. Again, size is a major factor. But there’s also risk, security, and compliance to worry about. There’s rollout across all those countries and employees. There’s cost on a much greater magnitude than firms deal with. Any new technology has to be considered from an enterprise perspective, and is generally planned as a long-term implementation. The sense I get is that change management issues are rooted in corporate responsibility and strategic planning, as opposed to personal resistance from individual lawyers, as at law firms. I idly wondered, for example, about implementing a DM search tool in the legal group. However, the bank does not typically purchase and implement software on a department-by-department basis. While a search function would be great for my group, it’s an inefficient and costly project from an enterprise standpoint. I’m still settling in, and will update you in a few months’ time about my role and some specific projects.